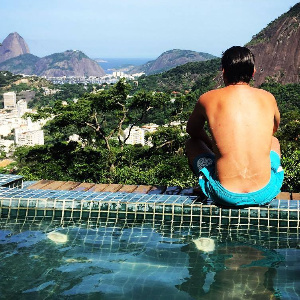 What days are best for gay travelers interested in Rio de Janeiro? All 365 of them are fabulous, but three holidays: New Year’s, Carnival, and Gay Pride. Scroll down for specific dates in 2016, travel tips, and events in the city. Outside of the holidays, use the VamosGay Guide to Rio de Janeiro. It has the best, most up-to-date listings for gay-friendly hotels, bars, restaurants, and adults-only fun in Rio! Three of the biggest Carnival destinations in Brazil are also three of the gay-friendliest. Guides to all three cities are coming soon! Follow VamosGay on Twitter, Facebook, and Instagram for the latest news. Every color of the arco-iris shines as the LGBT Pride Parade fills Rio de Janeiro. A guide for the many gay tourists who will be visiting the Cidade Maravilhosa! Click to visit the VamosGay Guide to Olympics 2016 in Rio.